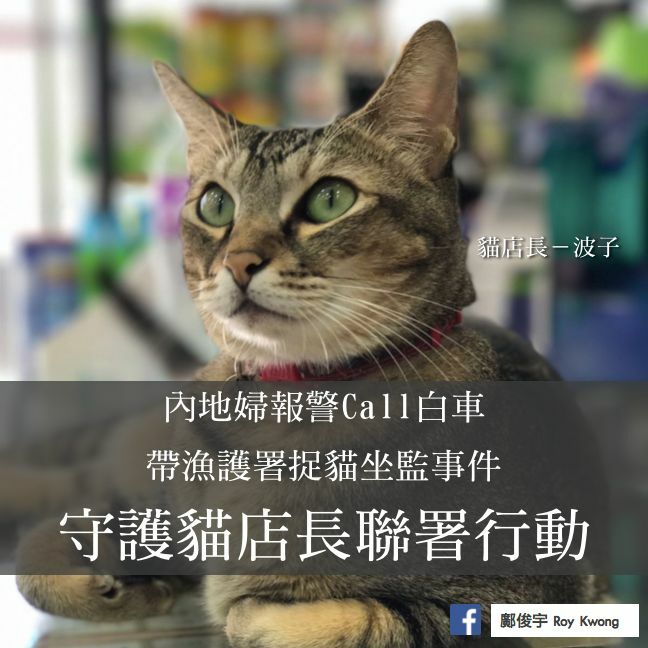 Over 34,000 people have signed a petition launched by Democratic Party lawmaker Roy Kwong urging the authorities not to “arrest” a shop cat named Marble after it allegedly scratched a child. Shopkeepers have said the incident did not occur, according to security camera footage. 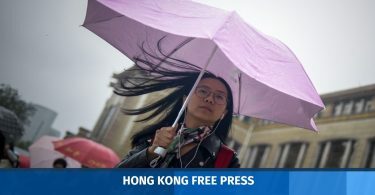 Last Friday, a mainland Chinese woman reported to the police that her son had received a 5mm scratch from the feline at a Kwun Tong pharmacy. The shopkeeper vowed to cover medical costs but the woman rejected the offer, according to Kwong. He said the woman insisted she would “not stop pursuing” and will “make it big,” as she was concerned about the potential transmission of rabies. Police and paramedics were called to the scene. The cat “Marble”. Photo: Roy Kwong. The next day, the woman brought staff members from the Agriculture Fisheries and Conservation Department (AFCD) to the pharmacy to catch Marble, but it was at home owing to shock. An AFCD staff member left a letter and said that Marble should be brought to a government animal management centre by Monday for a seven-day examination – an order which amounted to an “arrest by appointment” claimed Kwong. Ms Chan, a staff member of the pharmacy, told Ming Pao that security camera footage showed that Marble did not scratch the child. Kwong said residents at the On Tat Estate, where the pharmacy is located, are supportive of Marble. More than 34,000 people have signed the petition voicing support for his plight. “This is a ridiculous incident, residents are all worried about Marble,” Kwong said. However, the AFCD did not send officers to the pharmacy on Monday. The AFCD told HKFP that it received the suspected case of a cat hurting a person after it was transferred from the police last Friday. It said the cat should be under rabies observation in accordance with the Cap 421 Rabies Ordinance. The cat is not in a good physical state and remains under observation at a private veterinary clinic, it added. The department will monitor the situation closely. The Liberal Party also wrote to the head of the AFCD, saying that Marble is a cat who receives regular vaccines and he did not assault the child according to security footage. The party questioned what grounds the AFCD had in attempting to detain Marble. 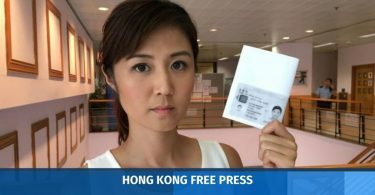 According to sources cited by Oriental Daily, the woman concerned has returned to the mainland. The Housing Department has sent officers to remind the pharmacy that cats are not allowed on the premises.